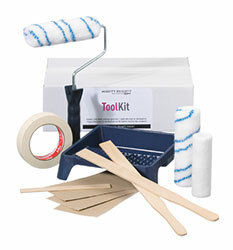 Kit with all necessary tools to use for a Mighty Brighty project. The high- quality paint rollers are selected especially for Mighty Brighty. Using this kit is recommended.